When designing the commercial GHD we knew we had to do two things: (1) Incorporate a rock solid base support to ensure stability during sit-ups and raises, while (2) keeping the dimensions and actual size of the machine compact enough to allow a small footprint and thus more physical space to workout in the gym. We hit the nail on the head with both. 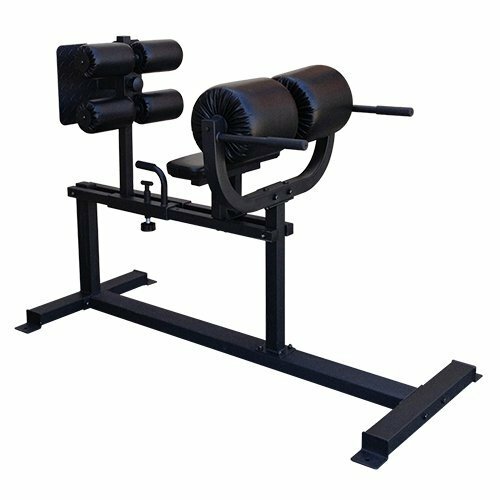 Compact, sturdy, and with a foolproof design, the Commercial GHD is the ideal glute and hamstring developer for both the garage gymer and large scale gym use alike. One key component we included is the 20 " horizontal knee pad that sits below the hip pads, and provides the base you need when performing Glute Ham Raises, the original exercise the machine was intended for. Though our machine is smaller in stature than some - we made sure to get rid of all the unnecessary extras to save you on space, while incorporating key components that others leave out.